Finally, my new and improved cosmetic bags! These are actually LARGE enough to hold all of your makeup items, like long eyeliners and brushes. Check the new measurements. 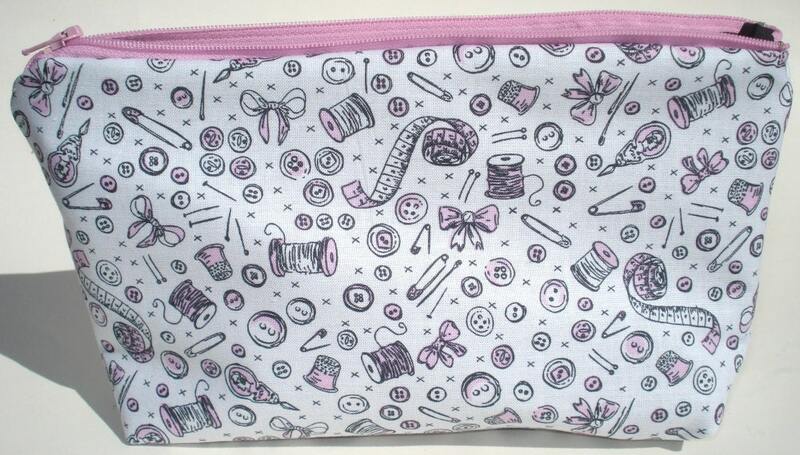 This cosmetic bag was made using this adorable sewing notions fabric. The bag has a pink zipper and a solid black lining. Scissors Magnet Set of 3 - Sewing Notions, Crafting, Tools. SALE Anime Cosmetic Bag: Japan, Kawaii.